On Sept .16 at Vancouver Playhouse, as part of FEDtalks, Pamela Schuller, an internationally known disability and mental health advocate and professional stand-up comedian, will share her story. Her aim? To inspire attendees to remember and cherish what makes them unique. Schuller divides her time between being running a Jewish teen mental health initiative in New York City and traveling the world, using her own experiences to discuss inclusion and the importance of embracing differences and disabilities. Growing up in America’s Midwest, Schuller felt she stood out as the oddball kid with TS. Her mom had a hard time raising her. And, as her mom struggled, so did Schuller – dealing with having TS, as well as with numerous trips to the hospital for broken bones and depression. It took a boarding school environment for Schuller to be able to come out of her shell. Schuller speaks openly about being depressed before experiencing this mental shift, and of not having wanted to be a part of this world. “To be honest, I think it’s a journey that doesn’t stop,” she said. “I still have days where it feels like having TS is bad, embarrassing or painful. And I have to remind myself that it’s OK and that there are still things I love about myself … and that, a lot of them, I learned because of TS. “The first thing I learned that I love about myself was my sense of humour. But, it took some time to channel that sense of humour from snarky and sarcastic … to a more channeled sense of humour. “Then, over time, I started talking seriously, not using humour, about what it means to love differences, to love the most challenging thing about yourself, the thing you struggle with the most. A few years ago, Schuller earned a master’s degree in child advocacy and policy, with an emphasis on creating inclusive communities. She believes that much of celebrating differences is about believing it is possible – that, whatever you bring to a community, you can be a part of that community. Stand-up comedy serves as a sort of therapy for Schuller. “When I’m on stage, it’s not that my TS calms down … but, even on a tough day, I’m reminded that I love my brain,” she said. “And my brain allows me to do stand-up and have TS. Schuller encourages people to find the one thing that makes them incredible and unique. As far as what people can expect to get out of her talk, Schuller said, “It doesn’t matter if you have a disability or not, the message is pretty universal. So, you can expect to laugh, to think about things and, maybe, sometimes, to cry, because feelings come up. “Some of these conversations are tough. We’re all afraid of what we don’t know or maybe we don’t feel so great about ourselves or what we bring into this world. I think, by pairing humour with some of these messages and storytelling, it makes people think – about themselves and how they treat others, how they treat people in their community and what their community is doing. “I walk into teen communities and I have everyone laughing and thinking,” she said. “And, when I finish, the teens line up to talk to me, share with me or ask questions. So, I think that my goal is to not be preachy, but to be a conversation starter. Schuller and her family have realized that, sometimes, the things they struggle with the most can also be their greatest strengths. For tickets to FEDtalks ($36), visit jewishvancouver.com. A record $3.1 million was raised at the 20th anniversary Courage to Come Back Awards on May 10 at the Vancouver Convention Centre. 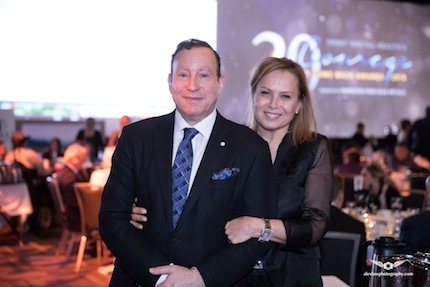 The event was chaired by Lorne Segal, president of Kingswood Properties Ltd., and more than 1,800 people gathered to celebrate the extraordinary stories of triumph over adversity of the five awards recipients. Funds raised will go directly to Coast Mental Health to support those living with mental illness. This year’s recipients were Josh Dahling (addiction), Ingrid Bates (medical), Suzanne Venuta (mental health), Jim Ryan (physical rehabilitation) and Alisa Gil Silvestre (youth). Venuta captured the essence of the evening: “If there’s only one thing you remember from my speech tonight, may it be this: that connections save lives. It did mine. Connections are what hold hope together and hope allows us to dream.” For more inspirational stories, visit couragetocomeback.ca/2018-recipients. Each year, Coast Mental Health (coastmentalhealth.com) provides services to more than 4,000 people living with mental illness so they can find a meaningful place in their communities – a place to live, a place to connect and a place to work. Liliana Segal with Green Chair Recycling’s 2017 Canada’s Volunteer Award. Green Chair Recycling, founded by Liliana Segal, was recognized in 2017 as a business leader in British Columbia and the north by Canada’s Volunteer Awards. The awards, given by the Government of Canada, were presented in a ceremony held in Ottawa on Dec. 5, International Volunteer Day, to individuals and businesses across the country who contribute to and strengthen their communities. The Centre for Addiction and Mental Health (CAMH) is Canada’s largest mental health and addiction teaching hospital, as well as one of the world’s leading research centres in its field. CAMH Difference Makers – 150 Leading Canadians for Mental Health was a national movement that started in 2017. Its purpose is to encourage people to speak freely about mental illness because CAMH sees how these conversations help break down the stigma that prevents people from getting the care they need. In April of last year, guided by a national committee of leading experts and advocates, CAMH launched a cross-Canada call for nominations of people influencing change in the area of mental health and giving us new reasons for hope. It invited Canadians to nominate a person with lived experience, a caregiver or family member, a health professional, a researcher, an advocate, a philanthropist – anyone making a difference in small or big ways; in local or international circles; in public or private lives. Nominations were open until July 1, and more than 3,700 names put forward. Among the 150 selected as Leading Canadians for Mental Health were members of the B.C. Jewish community. In alphabetical order, they were David Granirer, Dr. Gabor Maté and Lorne Segal. It’s hard to laugh when it seems the entire world is crumbling around you. That is what makes Granirer’s approach to dealing with depression so noteworthy. When he experienced depression as a teenager, Granirer saw his condition as something shameful. Today, he realizes shame is as bad as the illness itself. As a staff member at the Vancouver Crisis Centre, Granirer began to use humour at work to help trainees get through stressful days. This led to a growing passion for stand-up comedy and to eventually founding Stand Up for Mental Health. The program teaches stand-up comedy to people living with mental illness to help them build confidence and break down stigma. Through Stand Up’s 500 shows so far – performed to mental health organizations, government, corporations, the military, schools and correctional facilities – Granirer has helped thousands see mental health in a different light. Through his unique program, Granirer helps people understand not only do we need to shed shame, but that a smile, a laugh and happiness can exist alongside the challenges of mental illness. When Maté retired from medicine, he turned from using his insights on addiction, early childhood development and trauma to support society’s most marginalized, to inviting growing audiences in Canada and around the world into new dialogues on compassion. He is internationally known for his work on the mind/body unity in health and illness, on attention deficit disorder and other childhood developmental issues, and his breakthrough analysis of addiction as a psychophysiological response to childhood trauma and emotional loss. He is the author of four best-selling books published in 20 languages on five continents, including When the Body Says No: Exploring the Stress-Disease Connection and the award-winning In the Realm of Hungry Ghosts: Close Encounters With Addiction. His TED talks, YouTube videos and international speeches have helped focus attention on the mental health and trauma issues that underlie addiction. Maté shows humility and compassion, giving a sense of hope that, in a world where many people are shut down, defensive and fearful, there is a guiding light ahead and a new world of possibility. Segal, a business leader and philanthropist, has been involved with Coast Mental Health’s Courage to Come Back Awards since their inception in 1998. At that time, the stigma surrounding mental illness was even more of a barrier to public engagement than it is today. During his almost two decades with the awards, including serving as chair for the past 12 years, he has helped transform the event into one of British Columbia’s premier mental health campaigns. Under Segal’s tenure, the number of guests has tripled to 1,500, with the awards also reaching more than a million people through television, print and other media. Segal has been instrumental in inspiring more than $15 million in support for mental health programs such as housing, employment and other support services to more than 4,000 people annually living with mental illness. His decision to start supporting the event at a time when mental health wasn’t popular was quite simple. He saw an issue that affected many and wanted to do something about it. Not only has he been successful in this, he has helped spread greater awareness and support for mental health in British Columbia. 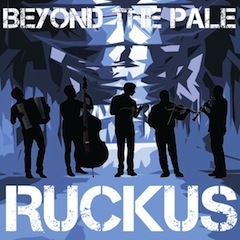 Toronto-based band Beyond the Pale’s latest CD, Ruckus, reviewed in the Jewish Independent Sept. 15, 2017, was nominated for two Canadian Folk Music Awards last year, for World Music Group of the Year and Instrumental Group of the Year. While the band didn’t win a 2017 award, it has been nominated now for eight CFMA honours, and won four. Anyone who has seen Randy Charach perform will swear he can read people’s minds. He certainly is attuned and sensitive to his audience, and those brave and lucky enough to become part of his high-energy, humour-filled show, which he will be bringing to the Rothstein Theatre Oct. 14, at 7 and 9 p.m.
“I love to amaze people,” said Charach about what he enjoys most about performing. “The art of magic has been a passion since childhood, and something I see as analogous to life. As a society, we constantly thrive to have our expectations met. When we are surprised, delighted and amazed, we often become elated. This feeling occurs in performance, in personal interactions and in business. When we surprise people, we become memorable. “I write of this in my latest business growth book on Amazon, Client Centric,” he said. “I teach it in the book and at my corporate presentations, All Business is Show Business and All Life is Show Business. When we continue to amaze others by exceeding their expectations, it’s not magic, but it works like magic. This is an example of how art imitates life and my analogy of how magic is present in all our lives. Despite this love of entertaining, Charach said there were years when he didn’t perform at all. Partial proceeds of the Oct. 14 show will be donated to the Canadian Mental Health Association. For more information, videos and to reserve your seats at one (or both) of the Oct. 14 shows at the Rothstein, visit randytickets.com or call 1-800-838-3006. Tickets are $36 (plus service charge). 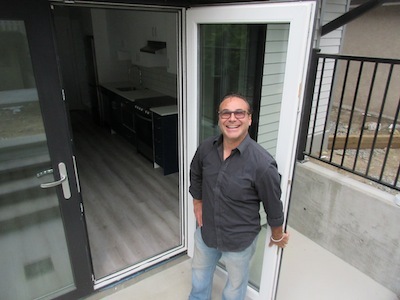 Jewish community member Michael Germant, who co-stars in Island Productions’ presentation of Gruesome at the Vancouver Fringe Festival with fellow community member Gina Leon, also highlights the universal elements of Joseph’s play. It seems like pretty heavy fare for the Fringe, or is it? The humour, which is dark, “is expressed through the naivety of the characters and the comedy of misconnection,” he said. Both Leon, who was born in Johannesburg, and Germant, who was born in Moscow, know what it is like to be an immigrant, to straddle more than one culture. They can relate to Gruesome’s theme of alienation. Gruesome Playground Injuries runs at the Cultch’s Vancity Culture Lab Theatre Sept. 8-17. For tickets ($14) and the whole Fringe lineup, visit vancouverfringe.com.